According to IMDB: The Motorcycle Diaries is an adaptation of a journal written by Ernesto "Che" Guevara de la Serna when he was 23 years old. He and his friend, Alberto Granado are typical college students who, seeking fun and adventure before graduation, decide to travel across Argentina, Chile, Peru, Colombia, and Venezuela in order to do their medical residency at a leper colony. Beginning as a buddy/road movie in which Ernesto and Alberto are looking for chicks, fun and adventure before they must grow up and have a more serious life. As is said in the film itself, it's about "two lives running parallel for a while." The two best friends start off with the same goals and aspirations, but by the time the film is over, it's clear what each man's destiny has become. 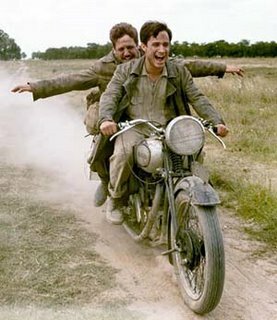 Sonja here: This is probably my most favorite of all the "motorcycle"movies. The scenery is spectacular, the story incredible and the cast includes Gael Garcia Bernal and Mia Maestro. 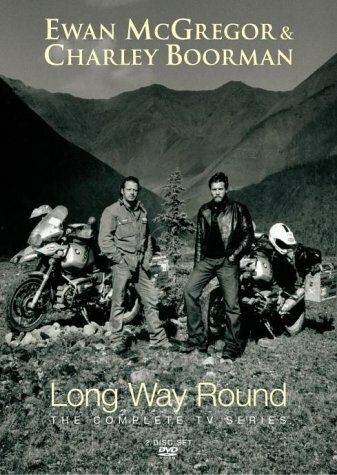 According to IMBD:This documentary series follows actors Ewan McGregor and Charley Boorman on a motorcycle trip around the world. The two friends will travel through such places as Siberia, Kazakhstan, Mongolia, and Alaska, before finally ending the journey in New York. The filming will be done by on board cameras and one ride along cameraman. 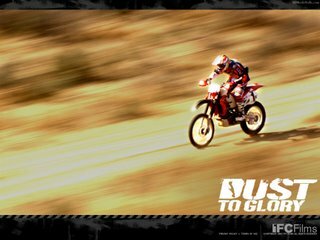 According to IMBD:An action-adventure documentary chronicling the most notorious and dangerous race in the world--the Tecate SCORE Baja 1000. Rivaling the Indy 500 and 25 Hours of Daytona, the race across Baja's peninsula is unpredictable, grueling and raw--just like the uncharted American West of yesteryear. To capture the vast desert panoramas and intense action of the race, the film team utilized, fifty-five cameras, four helicopters, a four-passenger buggy camera car and a crew of over eighty people. Thousands of participants, generations of families and racing icons such as Robby Gordon, Mario Andretti, Jimmy Vasser and Motorcycle Supercross legend Mike Mouse McCoy joined together to experience the thrill and glory of the infamous race--an event of sheer human determination. Since we live so close to Mexico, I'd actually like to go down and see this race. It's set for early November and it looks absolutely crazy. 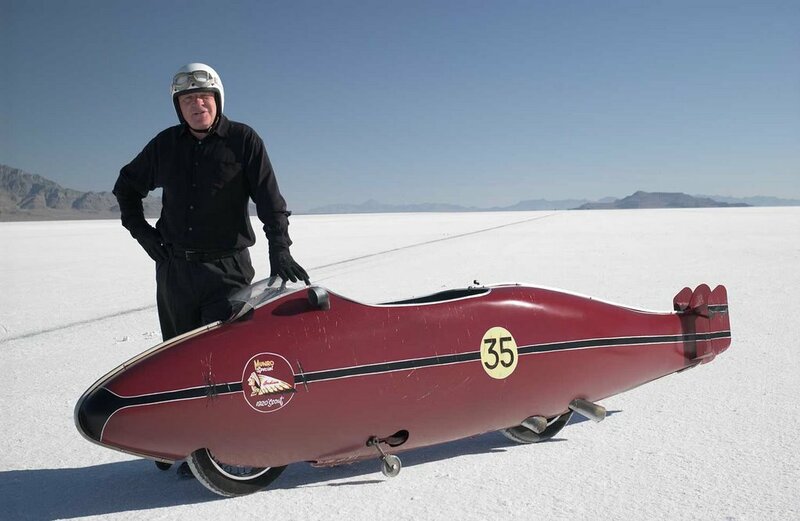 The life story of New Zealander Burt Munro, who spent years building a 1920 Indian motorcycle -- a bike which helped him set the land-speed world record at Utah's Bonneville Salt Flats in 1967. Cherie recommended this movie to us; it's delightful!